GGBY Highline Gathering is an annual gathering during the week of Thanksgiving of individuals from all over the world who come to highline over the canyons of Moab, Utah. This is the 11th year of GGBY and the second year the festival is being officially organized. The 2018 event will be held from November 19th through the 23rd (Monday through Friday). Tickets include camping from Monday night (11/19) through Saturday morning (11/24). Highlines and spacenets will be available from the 19th through the 23rd. All ticket sales are final. Slackline U.S. members receive a $10 discount. 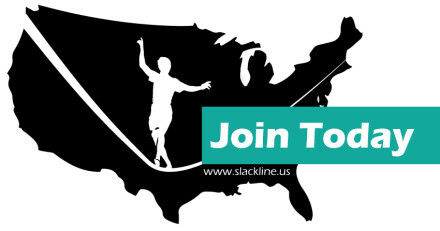 If you are not yet a Slackline U.S. member, join now for $25 a year.